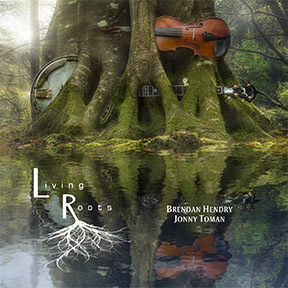 "Living Roots" by Brendan Hendry and Jonny Toman can be bought safely and securely online through PayPal by clicking on the "Buy Now" button below for £12. A competitve "worldwide shipping" cost of £2 postage & packaging is offered. "stringtones" by Brendan Hendry | Paul McSherry | Nodlaig Brolly can be bought safely and securely online through PayPal by clicking on the "Buy Now" button below for £12. A competitve "worldwide shipping" cost of £2 postage & packaging is offered. This album brings together stringed instruments in the most beautiful and natural way, each instrument being played with precision and understanding, this combined with a fantastic collection of songs and tunes both new and old, this album is among the best in Irish Tradtional Music. "Brendan's strong fluid fiddle style is well suited to a wide range of music, from old-time waltzes to jazzed-up reels, always retaining a hint of Ulster bite." "What a great new album! More to come, as we'll be playing it a lot!" "This is such a brilliant piece of music from one of the best musicians in the business. Wonderful stuff, true to the bone." "Another great piece of work from Derry and Brendan Hendry. Real trad played and sung perfectly." 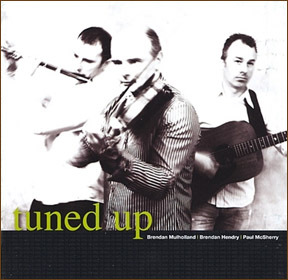 "tuned up" by Brendan Mulholland | Brendan Hendry | Paul McSherry can be bought safely and securely online through PayPal by clicking on the "Buy Now" button below for £12. A competitve "worldwide shipping" cost of £2 postage & packaging is offered. Also, visit my Facebook page and leave a comment! Thanks, Brendan.